As you all know things don’t always go according to plan when your traveling and sometimes there are little occurrences that set you back. It’s just part of the world of travel and a good reminder that you really have no control over what the universe throws at you. Flights will be delayed, mother nature throws a tantrum now and then, cultures clash and misunderstandings will inevitably occur. I’ve decided to start this little series of short stories and anecdotes of just such adventures that I’ve experienced while traveling. Have you ever been on a trip where no matter how much planning and prep work you do, nothing seems to go right? I recently went on a 3 week trip to Nicaragua and this seemed to be the theme. 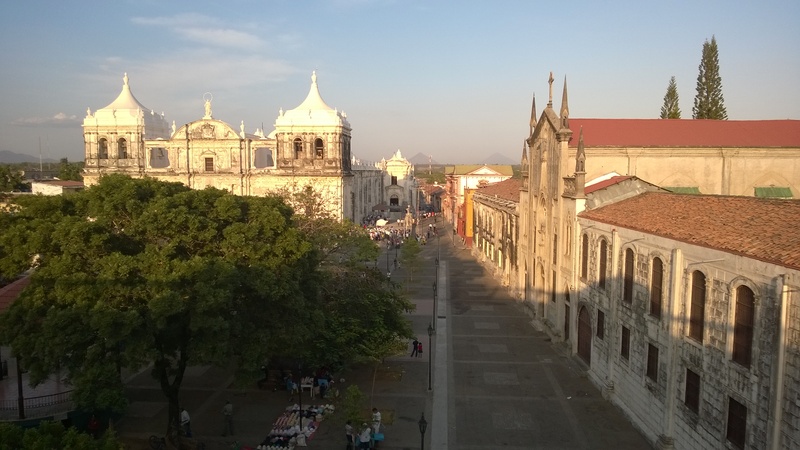 I was very excited to visit this beautiful Central American country, to meet the people, taste the food, wander the old colonial streets, and explore the outdoors. In the end, I did get to do all of these but Nicaragua was going to be a mischievous little nation that would test my patience and push me to my mental limits. As a type ‘A’ personality, I very much like to be in control and travel has been patiently teaching me to let go and just go with the flow. Nicaragua was the final exam in this test of perseverance and definitely made me accept the fact that when traveling, a lot of the time we don’t have control over what happens and to just sit back and see where life takes you. I went to Nicaragua with a group of 8 co-workers to teach a 1 week First Responders Course and then spent another 2 weeks backpacking around this amazing country. On the final day of our course, after we ran scenario’s for our students and had a wonderful graduation ceremony, we were to spend the afternoon relaxing at Laguna Apoyo. Apoyo is a beautiful, fresh water, thermally heated laguna situated in the the crater of an extinct volcano, just south of Managua. During the course of the week however, there had been a series of 6.0+ magnitude earthquakes just north of Managua. We had felt a few of them, though were unaffected by any damage and there were no injuries or problems where we were staying. Due to the high number of earthquakes, and the fact that the laguna was located down a steep 800 m long pitch, landslides were a real possibility. It was decided that for safety reasons, visiting the laguna was not possible. This was disappointing for us as we were all looking forward to spending some time swimming in the crater lake of an extinct volcano, and relaxing in lounge chairs while waiters served us pina coladas. As an alternative, and what we thought was a safer option, we headed to near-by Granada for the afternoon. While en route to Granada, we learned that there had been another earthquake (we didn’t feel it as we were driving at the time). This magnitude 6.2 quake had its epi-center in none other than…. Granada! 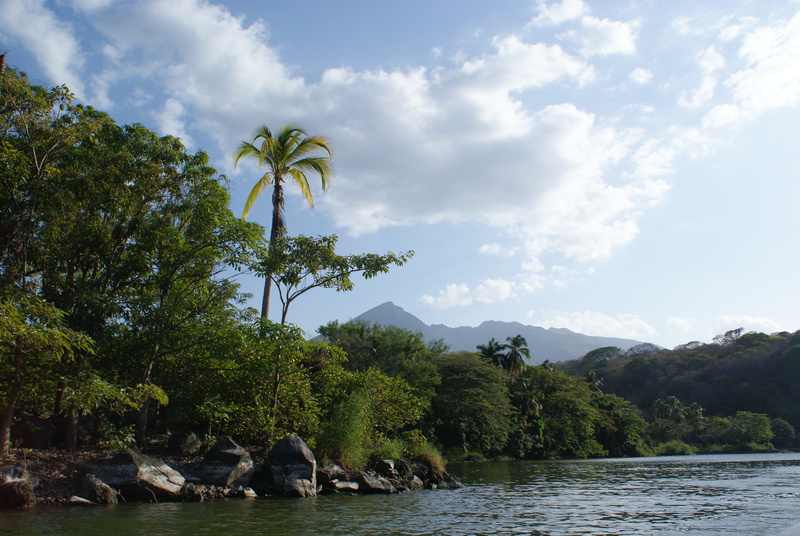 So much for trying to avoid the earthquakes… Regardless, we continued on and had a wonderful afternoon on a boat tour of Lake Nicaragua and shopping in the street markets. The next leg of our trip took us all the way out to the Corn Islands in the Caribbean Ocean. We were definitely looking forward to a few days of R&R on the tropical Little Corn Island. Upon arriving at our hostel around 6 pm (after a 1.5 hr flight, taxi ride and one crazy boat ride across a very angry ocean), we discovered that they had lost most of our reservation. We had booked 4 cabins to accommodate the 9 of us, only to discover they had only reserved one, 2 bed room. Not too big of a deal until we learned that they were completely full (it was Easter weekend) and logistically could not accommodate such a large group. Little Corn Island is very small, with not too many options for accommodations. Adding onto the fact that it was a holiday week and most hotels and hostels had been booked up for months did nothing to help the situation. Just when we were starting to think we’d have to put our Survivor skills to use and build our own shelter for the night out of palm leaves on the beach, we managed to find a bed for everyone. We had to do a bit of last minute scrabbling and begging for cabins from the 2 neighboring hostels, but we made it work, though everyone had to play musical cabins/rooms the next morning. After a bit of stress, we were all able to relax and enjoy the beautiful sand and surf. Stunning beaches of Little Corn Island. We’re in Granada?! But We’re Supposed to be in Leon! Part 1: My friend had asked the transfer company to pick us up at the hotel, directly across the street from the airport, rather than the airport itself. The rest of our group were staying at the hotel for the night so we had decided to get our pick-up there instead. At 6:10 pm (pick-up time 6:00 pm) our transfer had yet to show up. With a feeling of unease in the pit of our stomachs, we double checked our email confirmation. To our dismay, the booking agent had said in her final email “See you at the airport!”. Part 2: As we climbed in the van we said excitedly – to our Spanish speaking driver – that we were looking forward to going to Leon. He acknowledged us with a big smile and nod of the head and off we went! About an hour later, after driving down dark highways and back roads, we entered a city. Only thing was, my friends and I all recognized the 2 horse and carriage statue that guards the entrance to the city of Granada. Hoping that we were actually in Leon and this statute was a replica of the one in Granada, we nervously asked our driver where we were. He said Granada. Yes, our driver took us to Granada, not Leon, a full hours drive in the complete opposite direction of Leon! In slightly panicked voices we told our driver we were going to Leon, not Granada. With a confused look on his face (he did not speak much English), he pulled out some papers that clearly listed my friends name and the city of Granada next to it. Uh oh… My friend pulled up the email trail she had with the company on her cell phone, which clearly stated we were to go to Leon. A quick stop at the company’s office, and a few words with the manager, it was agreed that we had been taken to the wrong city. It was about 7:30 pm and we were now a full 2 hours south of our warm beds in a hostel in Leon. Ugh. So following a quick change of drivers and enduring what was supposed to be a 1 hr drive, but turned into 3 hrs, we finally made it to Leon. The beautiful city of Leon. Our first scheduled activity while in Leon was to do an overnight camping trip up Volcan Telica, which is supposed to have great views of its active bubbling lava at night. However, Mother Nature had other plans. As I already stated, the region had been experiencing a series of 6.0+ magnitude earthquakes. As a result, the Nicaraguan military had shut down access to all active volcanoes in the country as a safety precaution. This included Telica. We were very disappointed about not being able to camp on the side of an active volcano but this was unavoidable and our tour company was truly sorry to be canceling the hike. In the end we did get a chance to hike Telica and view the active lava, though no camping was involved. We finally get to hike Telica! View of the setting sun from Telica. During the remainder of the trip we had a few small mix ups with hostel bookings etc. that inevitably happen while traveling, but we took it all in stride and usually ended up laughing about it. For all that seemed to go wrong on this trip though, we did have our fair share of wonderful serendipity’s along the way. Like when we found out about a salsa dancing night at a local bar in Leon which turned out of be one of the best cultural experiences I’ve ever had. Or when our guide took us into an amazing bat cave while hiking Telica Volcano. Part of the fun in traveling is to just let go, hold on and enjoy the ride!